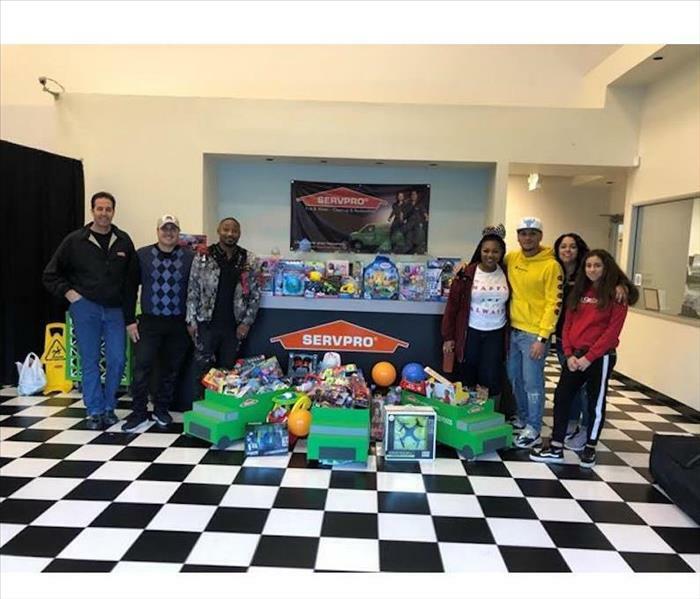 On December 1st, we had Santa come out for the kids to enjoy and collected lots of toys for boys and girls. We want to thank everyone who donated a toy, money, or simply just their time. 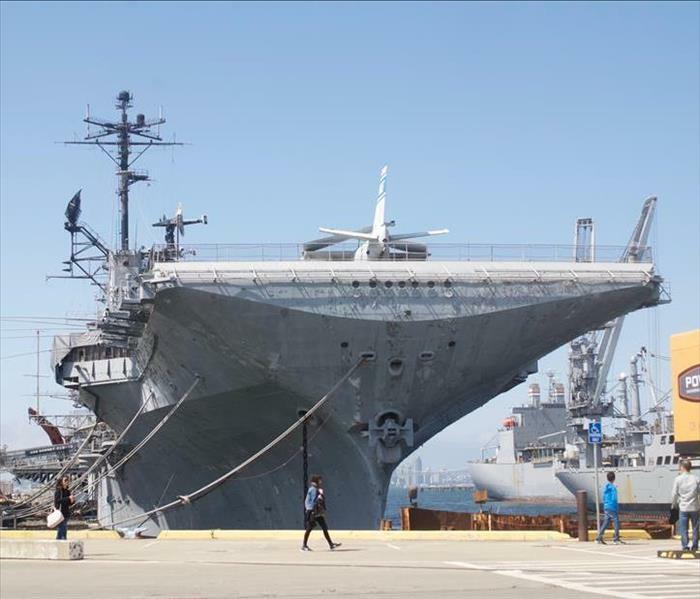 The USS Hornet Museum (WW2 aircraft carrier) is located in the city of Alameda at the former Naval Air Station, Alameda. The ship is a destination for school students, military history buffs and tourists alike. This aircraft carrier retrieved NASA astronauts from their splashdown in the Pacific on they arrival home following their journey to the moon. SERVPRO of Belmont/San Carlos working with sister company SERVPRO of San Leandro was called upon and happy to participate as a volunteer to help cleanup the great ship that served in the Second World War and in Viet Nam. Our franchise provided a cleaning team comprised of the ownership, managers and several technicians who performed pressure washing of the hangar deck, and some general dusting of portions of the ship’s interior that are on display during tours. Our SERVPRO team was honored and proud to take part in this community event to support and to honor all of the thousands of men and women who have served in the military. 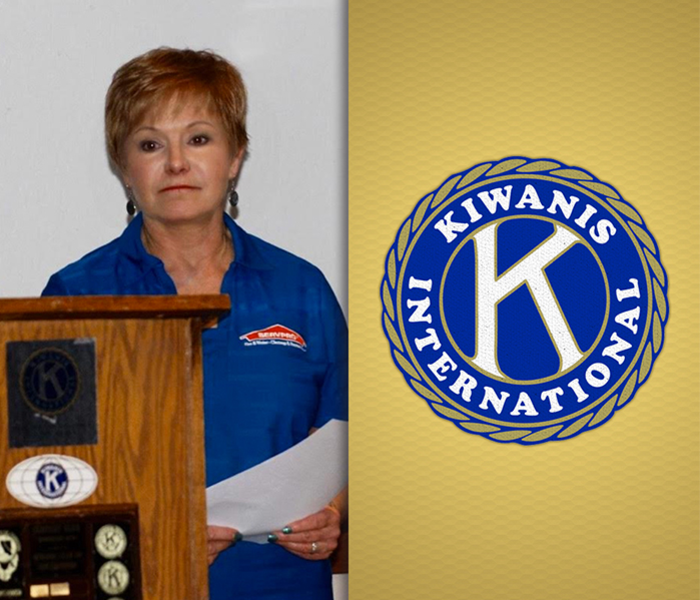 Grace Barry, Sales Manager of SERVPRO of Belmont/San Carlos, San Leandro and Stockton was the featured keynote speaker at the Kiwanis Club of San Leandro. Grace spoke briefly about SERVPRO being the premier fire, water and mold cleanup company in America and then about SERVPRO's sponsorship of the Asian Business Alliance and how the two organizations may be able to partner together on community events. 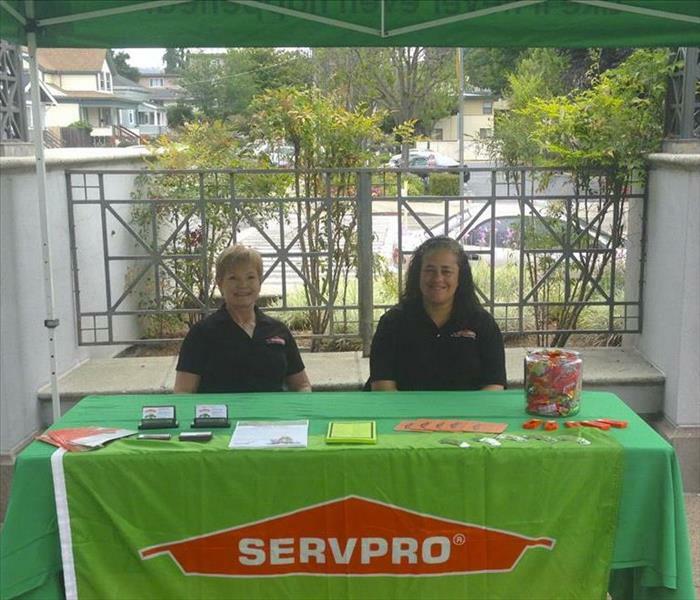 SERVPRO of Belmont/San Carlos offers Emergency Preparedness Planning and Seminars to local businesses. Pictured here is co-owner Clayton Barry, giving a presentation during a recent Emergency Preparedness Class. The training is open to local businesses to make their families, homes and commercial establishments safer and more secure. There are also educational presentations about El Nino awareness for both homeowners and businesses. Clayton has given numerous presentations to San Carlos, Foster City and Belmont business owners to provide advice to keep our communities and neighbors safe. To find out how your business and employees can benefit from a free ‘Emergency Preparedness Planning’ seminar, call us today at (650) 591-4137. SERVPRO of Belmont/San Carlos is proud to be an active member of the San Carlos Chamber of Commerce. We provide EMERGENCY READINESS PLANNING classes and workshops to local businesses in the Belmont, San Carlos, Redwood Shores and Foster City areas. There are also educational presentations about El Nino awareness for both homeowners and businesses. It is an honor for SERVPRO to team with our local Chamber of Commerce’s to make our communities and neighbors safer. 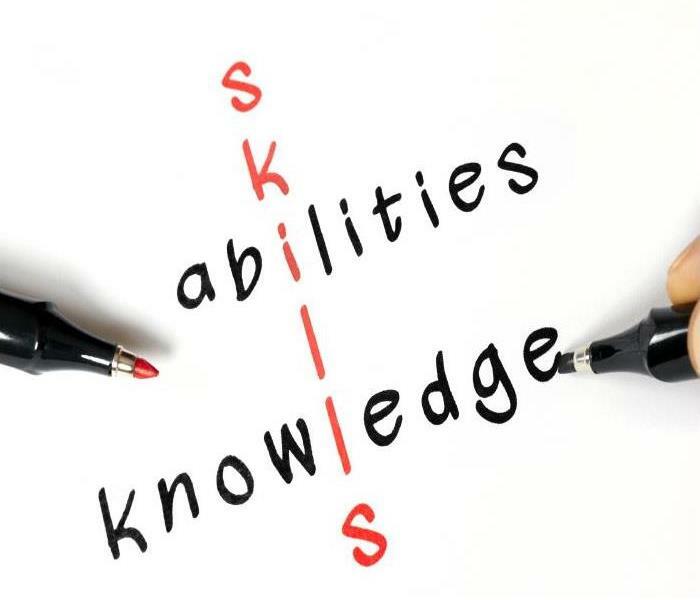 To find out how your business can benefit from a free 'Emergency Preparedness’ seminar, call us today at (650) 591-4137. The SERVPRO of Belmont/San Carlos franchise territory also includes the towns of Foster City and the Redwood Shores neighborhood of Redwood City, in addition to the Cities of Belmont and San Carlos. 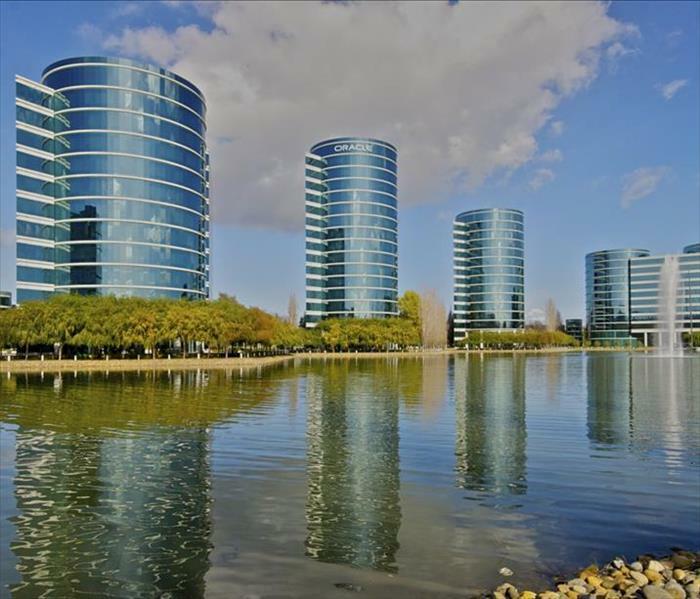 Many of you will recognize the famous Oracle World Headquarters building in the photo. Roy Drake, the partner of SERVPRO of Belmont/San Carlos was raised in San Carlos and graduated form Carlmont High School. Clayton Barry, the other partner lived in both Belmont and San Carlos as an apartment manager while he built his original cleaning business. Today, both owners of SERVPRO of Belmont /San Carlos are proud to support all of the local communities in our area. 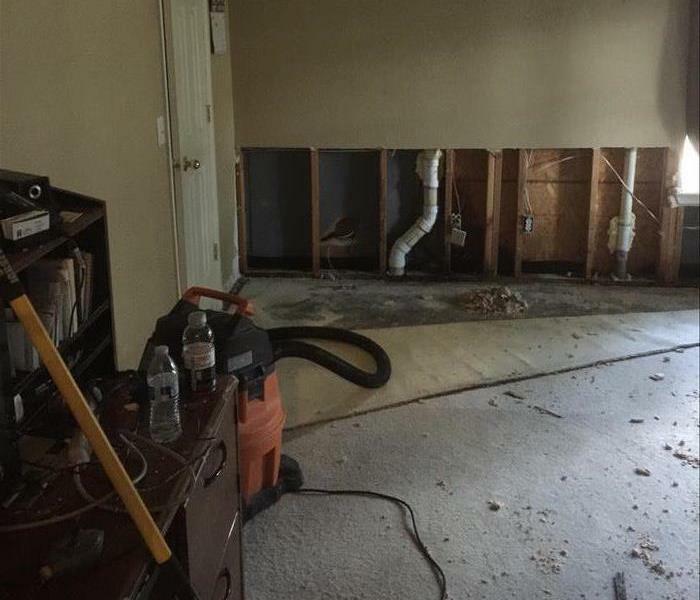 SERVPRO of Belmont/San Carlos understands the stress and worry that comes with fire or water damage and the disruption it causes your life and home or business. We live and work in this community so we’re nearby and ready to respond quickly when you need help. Call us at (650) 591-4137.